NAIROBI, Kenya, Apr 27 2018 (IPS) - Cultural diplomacy is a soft power that promotes the exchange of ideas, information, art, and culture to strengthen friendship and cooperation among nations and communities. One of the best examples of such cultural diplomacy is the American education airlift programme of the early 1960s – a programme now considered a good example of successful cultural diplomacy – which benefited many young Kenyans, including a young Kenyan scholar who married an American. 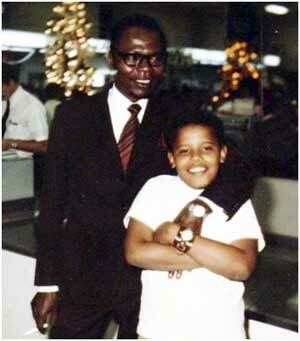 Their son went on to become the father of the 44th President of the US. The son of this Kenyan scholar, – US President Barack Obama, presided over a fundamental shift towards public and cultural diplomacy, that was credited with milestones such as limiting Iran’s nuclear energy programme, in exchange for the lifting of crippling economic sanctions. He often defended this approach as a successful diplomatic mission “committed to increasing people-to-people contacts and paying more attention to differences in cultures and values”. Unlike previous administrations, President Obama chose to persuade others through values and ideas, as opposed to flaunting military might. A similar approach is being used in Kenya’s northern frontier, where the charm of soft power is slowly replacing the aggressive and violent conflicts among traditional adversaries. For a long time, a recurrent and perennial conflict has existed, especially during dry seasons. Neighbours in the arid region have continued to clash over access to key water and grazing resources. In the meantime, the proliferation of small arms and ammunition trafficked into the country have escalated cultural practices such as cattle raids, turning them into deadly confrontations, while the re-drawing of administrative and electoral boundaries have provided more flashpoints for ethnic conflicts. Now leaders in the area are taking a cue from history, with the interaction of peoples, the exchange of cultural practices, language, religion, ideas and arts being identified as a pathway towards improved relations between the ethnic groups. Through the annual Turkana Cultural Festival, former enemies are bonding relationships and realising that their differences are simply artificial. The Turkana cultural festival, is a colourful 3-day event showcasing the region’s art, sports and music. Among the regular visitors to the festival are governors, minister and members of legislative assemblies from the neighbouring counties, a positive move not just towards building cultural bridges, but finding common ground and shared desires for the region’s economic prosperity and national cohesion. This year on 19 April 2018, the border communities and their leaders from South Sudan, Ethiopia and Uganda joined their counterparts from Kenya in the fourth edition of the Turkana Cultural Festival in Lodwar, which was branded Tobong’u Lore(Turkana for welcome home) by the county government. “I was honored by the presence of Her Excellency The First Lady of Kenya Ms Margaret Kenyatta and the Deputy President of Kenya, Mr William Ruto. Their presence gave a very special touch to the event” said Turkana County Governor Honorable Josphat Nanok. Recent discourse from leaders has noticeably moved from belligerence, to forging of trade relationships, and unifying the region’s populations. 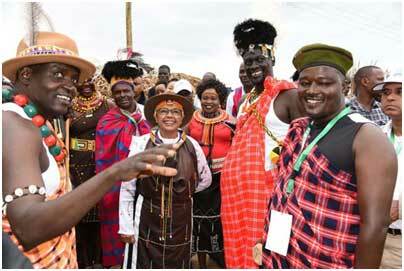 No less than seven Governors, elders, ministers, some from counties previously seen as rivals of the Turkana, attended this year’s edition of the Turkana Festival. “This festival is to celebrate peace. These are neighbors who have been fighting over pasture for their livestock and boundaries, but since we started this festival we have seen peace gradually return,” added Governor Nanok. The festivals are providing the communities with a forum to embrace the different values and needs of diverse cultures. Gradually, each festival is seen as a peace-building and soft power tool in communities previously marked by ethnic conflict and isolationism. There is also another crucial initiative, which is drawing former foes together in the border region between Kenya and Ethiopia. 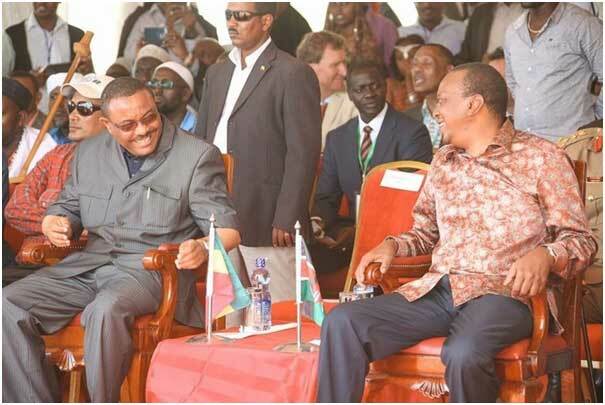 The Kenya-Ethiopia Cross Border Programme was launched in December 2015 by President Uhuru Kenyatta of Kenya and the former Prime Minister Hailemariam Desalegn of Ethiopia. The initiative, driven by the need to foster peace and sustainable development in the cross-border area of Marsabit County, Kenya, and the Borana/Dawa Zones, Ethiopia, is supported by IGAD, the European Union and Japan and implemented by the United Nations family in Kenya and Ethiopia together with local authorities on both sides. The populations in Marsabit County, and the Borana/Dawa are largely pastoralists and their movement transcends national and international boundaries. This movement has often led to clashes over resources, pitting people who share a common cultural background against each other. Early successes include the strengthening of peace communities with members from across the two countries, which have gained wide legitimacy. As the Cross Border Programme activities gain traction and the communities engage in legitimate business, their inter-dependence will slowly erode the temptation to fall back on the safety of tribal enclaves. Advances in communication continue to render physical barriers irrelevant, there is no better opportunity to move cultural diplomacy out of the periphery, and into the forefront of diplomacy. As the true window to the soul, culture must now be the premier option for solving conflict around the globe. The First Lady Margaret Kenyatta underscored the need to preserve the diversity of the country’s rich cultural heritage, saying it enhances Kenya’s identity at the global arena. She said in promoting culture, focus must be placed on positive values that boost peace and harmony. Kenya is showing the way.